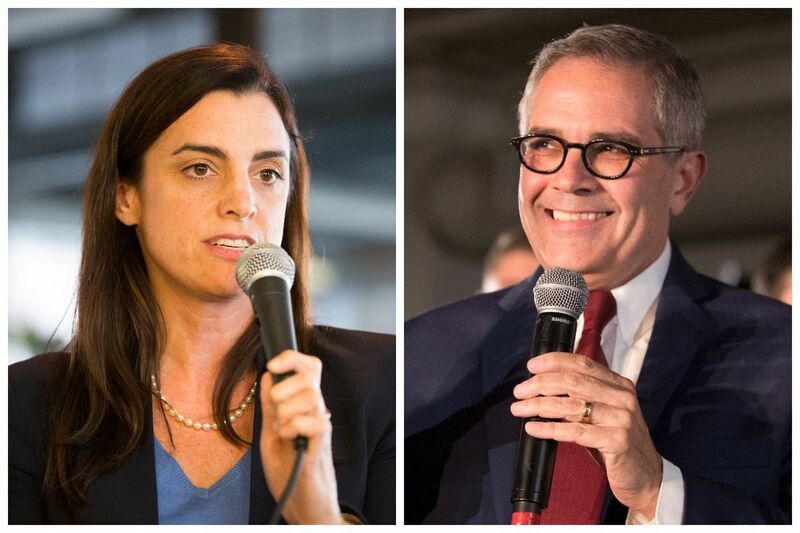 Philadelphia's newly elected district attorney, Larry Krasner, and Controller-elect Rebecca Rhynhart spring from the city's progressive heart. With his strong civil rights record, Krasner is a revolution in a suit. He campaigned on a more thoughtful approach to battling nonviolent crime, instead of locking up criminals and throwing away the key. He wants to "end mass incarceration" that, in this city, has locked up a record number of people, mostly black men. And many are there for non-violent crimes for which they can't come up with bail. The violent crimes are the biggest problem. The most recent police statistics show there were 230 homicides involving guns and 1,279 non-fatal shootings in Philadelphia in 2016. Many of those bullets came out of the muzzles of illegal weapons. Krasner should enforce the city's lost and stolen gun law, which requires gun owners to quickly tell police when their guns are lost or stolen so authorities can distinguish responsible gun owners from traffickers.Too often police trace a crime gun to the "owner," who says it was lost or stolen. Frequently, that's the cover story straw buyers use to avoid prosecution. Krasner's first challenge will be to stabilize the office, which was disgraced by former DA Seth Williams, who now sits in prison for taking cash, trips and gifts in exchange for favors.The new district attorney also pledged to fight the opioid crisis, and supports a safe injection site in the city where counselors can hook addicts into treatment. Another way to attack the opioid crisis comes from Rhynhart, who said she would audit the books of the Department of Community Behavioral Health, which directs $1 billion in tax dollars to mental health, addiction treatment, and other services but doesn't disclose how the money is spent. She should also concentrate on other off-government agencies, including the Philadelphia Redevelopment Authority and Philadelphia Industrial Development Corp., which have broad powers but less-than-transparent operations. Rhynhart is the first woman elected as city controller. That's long overdue and highly significant in Philadelphia, which can't seem to elect a woman mayor and hasn't sent a woman to Congress since Rep. Allyson Schwartz left in 2014. The Inquirer endorsed Rhynhart but not Krasner, questioning his ability to transition from defense attorney to prosecutor. But both winners promise to open Philadelphia to new ways of doing things and each has the potential to serve the city well.